Gordon is the best at road trips. We’ve seen so many weird and awesome things in and around Utah because he has a knack for finding or stumbling on cool stuff. 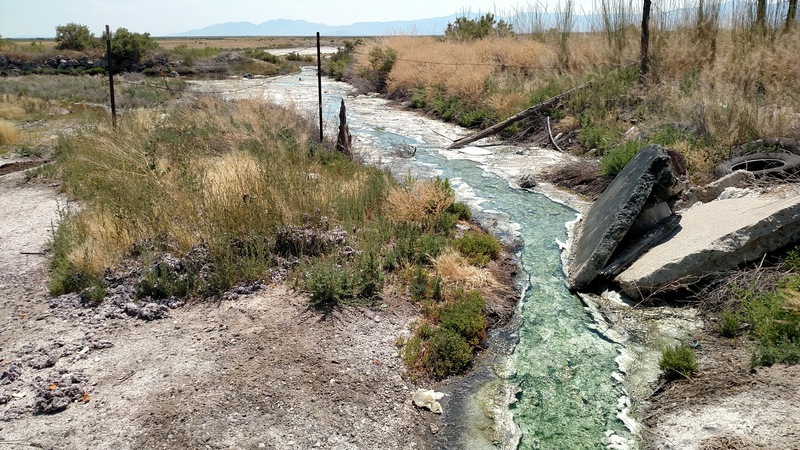 I wrote an article for Utah Stories magazine a few months ago on some of our favorite road trips through Northern Utah, but since we recently dragged my little brother and his wife to Stinky Springs, I figured I’d give a few more details here. This restaurant claims to have the best burger in Utah. I’m not sure about best, but it is delicious. 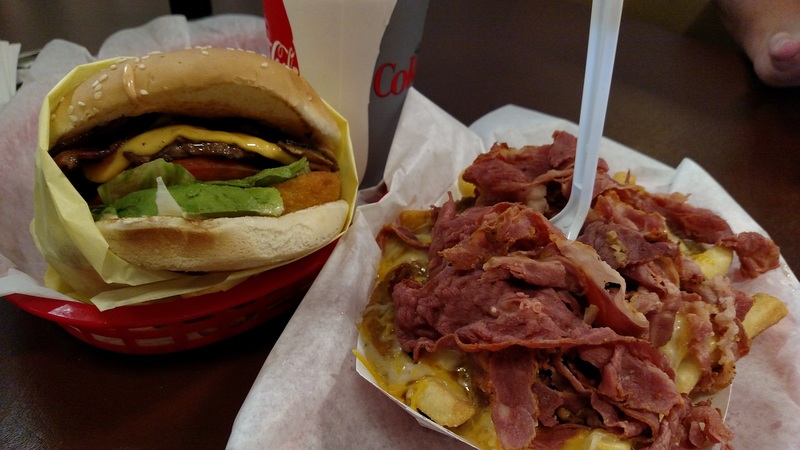 More important than that, however, is the fact that they make fries covered in chili, cheese and pastrami. No matter what we order, we always get animal fries to go with it. Golden Spike Burger is also the reason we found Stinky Springs. 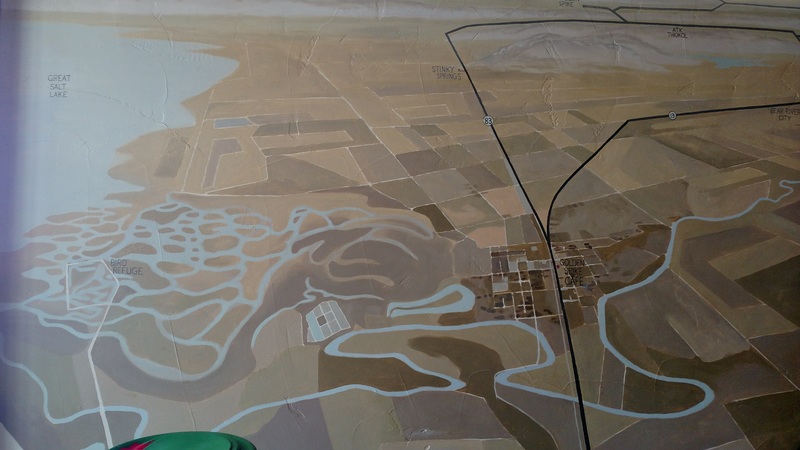 We noticed this map painted on the wall while we were eating and figured anything called Stinky Springs that got equal billing with the famous Golden Spike must be worth checking out. We had trouble finding the spring the first time we drove out, because it isn’t really marked on the road. In fact, we only managed to get there by rolling down the windows and pulling over when the sulfur smell got particularly pungent. So if you want to see this point of interest, you really do have to follow your nose. 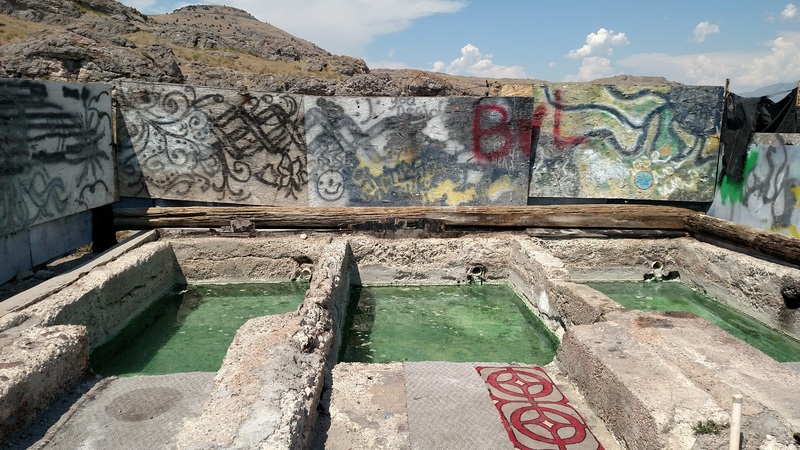 At some point, someone put cement baths in at Stinky Springs, but they have certainly seen better days. Also, someone died in one 17 years ago, but according to this article the hydrogen sulfide levels aren’t technically high enough for the health department to shut them down. They just warn against actual bathing. That doesn’t stop many people from enjoying a dip, but we weren’t feeling brave enough to get in and get the car all wet and stinky afterward. So we stuck fingers in to test the water (just like a green hot tub!) and took some pictures of the oddly pretty green stream. Of course, you can’t go to Corinne without going to the Golden Spike monument. You can read more about that and a few other road trip stops on the way in tomorrow’s post. But when you decide you’ve gone far enough and are ready to turn around, be sure to stop for ice cream. I don’t know who Walt Mann is, but if I ever meet him I’m giving him a hug. Peach City is a little diner in Brigham City that serves great waffle fries and ice cream that they make in house. I have no idea how the rest of their food is, because I’m always too full of ice cream to find out. 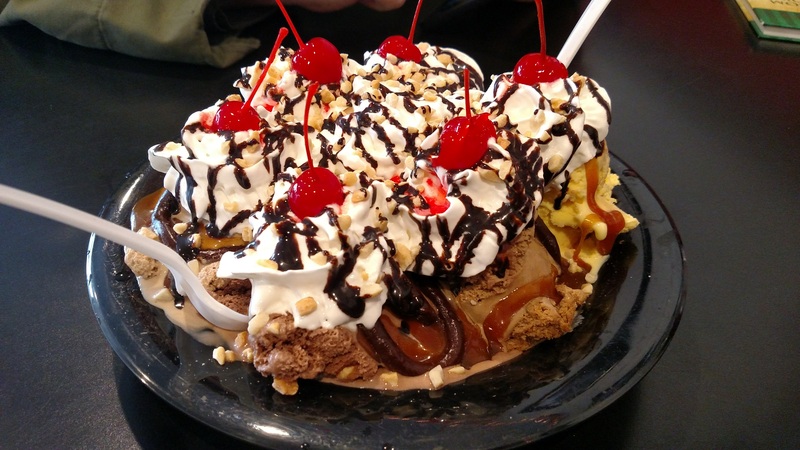 The Walt Mann special is six giant scoops of ice cream (you can mix and match flavors, so we always get six different ones) covered with every topping they have. You’ll want to bring some friends to help. If you don’t have four people to share with, you could also stop at the Amish store in Willard for your ice cream. Fair warning, one scoop is way bigger than a scoop usually is, so you probably don’t want two. In fact, if you order two the woman behind the counter will ask if you really mean it. One scoop of Apple Creek ice cream . . . 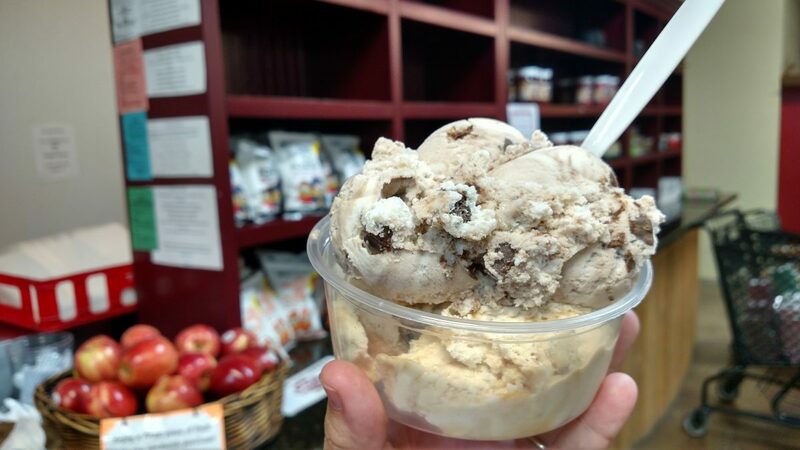 The best part of stopping at Apple Creek for ice cream is that you can also buy handmade Amish goods, canned and bottled food, fresh meat and cheese, and the cheapest spices around.